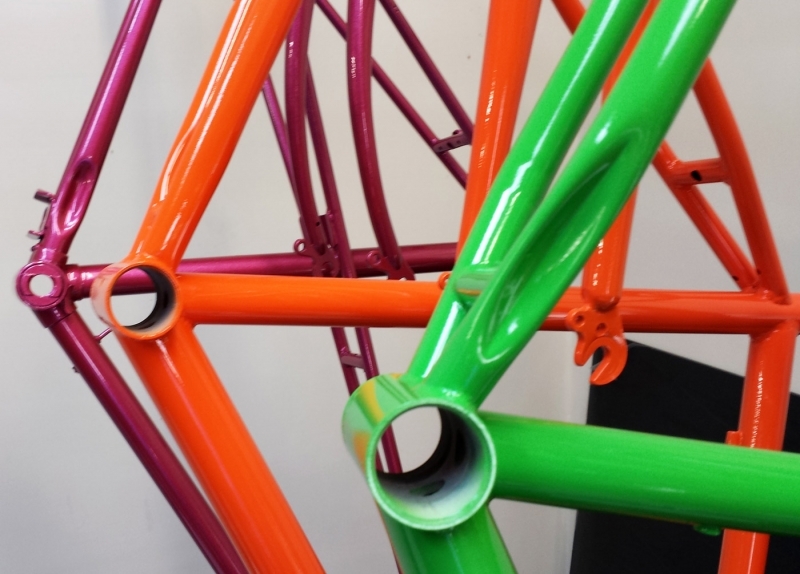 Careful grit blasting removes old paint and any rust or corrosion from cycle frames and parts. 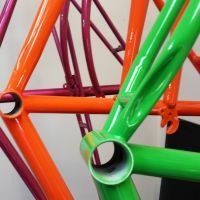 These are then prepared for paint or powder-coating in a range of colours and finishes. 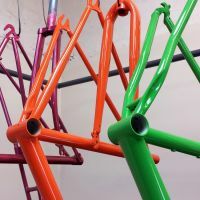 When 'wet' painting, bicycle parts are coated with an epoxy-primer and two-pack polyurethane top coat, for a durable and long-lasting finish. We would recommend this system for Classic/Vintage bicycles and parts, and for most good quality Road/Touring bikes. 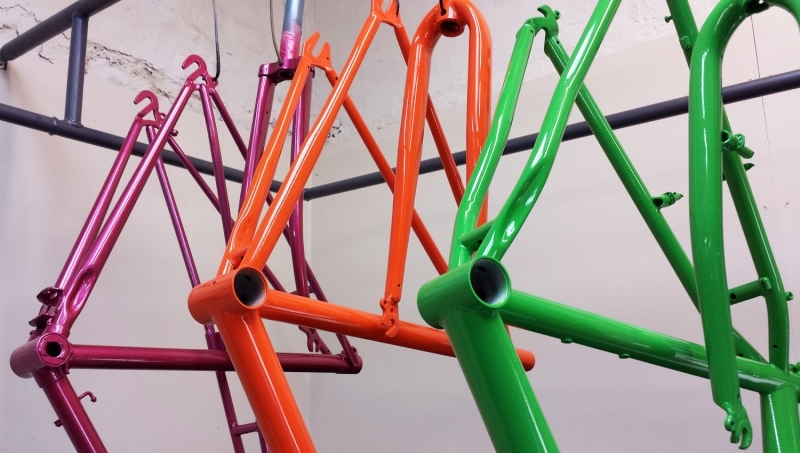 Bicycles and parts we would usually prefer to powder-coat are those such as BMX's, Jump bikes, and many Mountain bikes where protection from every-day knocks and scratches is more important. We have a good stock of paint colours and a reasonable number of powder-coat options, but for a small additional charge we can buy in small quantities of paint mixed to any colour or finish required - including lacquer, metallics and sparkles. Ideally, parts for blasting and re-coating must be clean, sound and degreased. 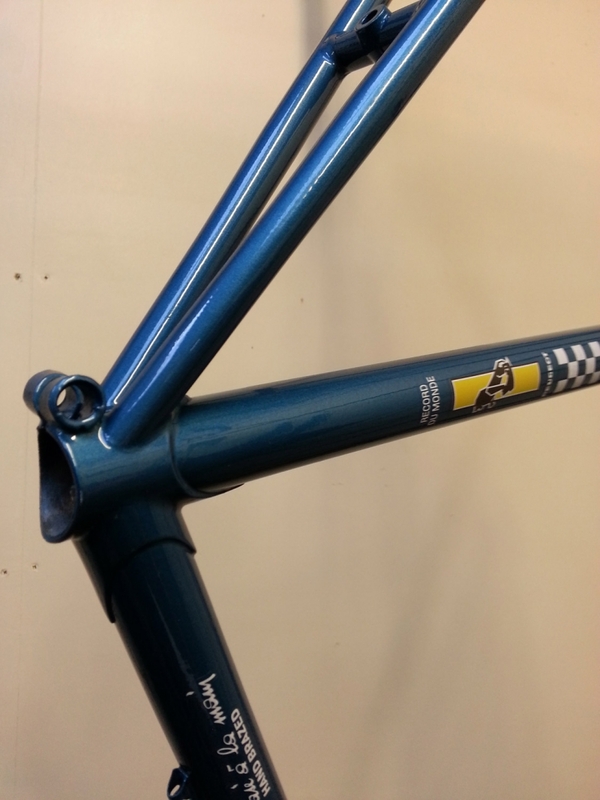 Frames should have all components removed though we can remove bottom brackets and stuck seat-posts (£20 each). 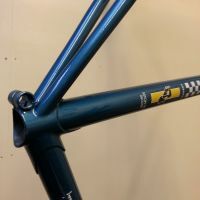 We can also add or remove braze-ons and make simple repairs to steel frames.